The shape of our bottle remained the same for over 70 years and is one of the most distinctive trademarks of the Senior's brand. The long neck makes it easier to hold the bottle when pouring cocktails. 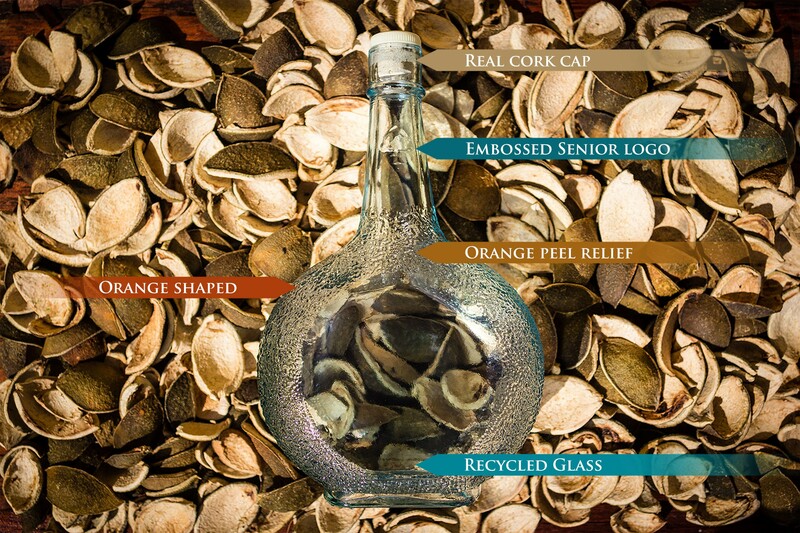 As we are an authentic craft product, we also use a cap made of real cork and recycled glass. On the bottom of the label area you will see a little ‘foot’. This is the trunk of the Laraha tree, connecting it to its birthplace: the island of Curaçao.